The high school experience is chock full of opportunities for teens to pull a prank or two and express themselves in ways that are unconventional. Maybe you've spray painted a rival school with your school's mascot and slogan to convey school pride, or maybe you toilet papered (TP'd) the house of a nosy neighbor. Although the average teen may construe these actions as harmless and lighthearted, Pennsylvania law firmly dictates otherwise. If you or your child has been charged with a vandalism offense, your first and immediate step is to consult with a criminal defense attorney. A legal professional who is well-versed in the intricacies of the distinctive juvenile criminal system will offer alternative legal solutions, maximize the likelihood of a sentence reduction, or get you or your child's case dismissed altogether. Your next step would be to gain a comprehensive understanding of the state's laws and penalties regarding this specific juvenile violation. In far less words, vandalism is any action that invokes actual physical harm to a property, or that diminishes the value of a property. As you can infer from the provided definition of vandalism, a diversified span of actions can potentially constitute this criminal offense. The law references commonplace examples of damage to property, such as keying someone's car or slashing their tires. It also mentions in incredible detail, the state's prohibition of tagging buildings with spray paint, paint markers and other varieties of graffiti. it's important to note that vandalism can, and is often, charged in instances when the damage is minuscule. The constitution of a vandalism offense remains the same despite the age of an alleged perpetrator. However, when it comes to the management and resolution of said crime, the factor of age becomes important. Juvenile cases involving crimes committed by persons under the age of 18 will be handled through the juvenile justice system - a more lenient and adaptable version of the adult criminal justice system. Adults engrossed in the criminal justice system are afforded little forbearance by the courts upon the conviction of a crime. Juvenile violations, contrastingly, are handled with intentions of rehabilitating minors from bad behaviors, only imposing detention sentences as a last resort. Due to this system's rehabilitative focus, judges are encouraged to impose a variegated span of penalties for vandalism charges. A popular repercussion for juvenile vandalism cases is the payment of restitution to a property owner. Restitution is a quantity of money that will allow a property owner to replace or repair damaged property. Since many teens do not receive a steady influx of income, those who are of legal employment age may be coaxed by the court to maintain employment. In cases when they aren't old enough to work, their parents will be ordered to pay the price for their child's mistake. Fortunately, Pennsylvania caps parental liability contributions to $2,500. In addition to restitution, the court may impose a fine for merely committing an act of vandalism. The money for a fine will go to the court as opposed to a property owner. The monetary amount owed for fines vary depending on the circumstances of a case. Some juveniles have been known to pay hundreds and even thousands (in cases when the damage is substantial) for a violation. Commonly referred to as informal probation, diversion requires juvenile offenders to comply with specific terms. Minors who are ordered to take the route of diversion do not have to attend juvenile court to complete their diversion program. If completed, all vandalism charges will be dismissed. If all else fails or in a case involving significant property to damage, the court may order a juvenile into detention. Detention takes on several forms. It can be enforced full-time, part-time, just on weekends, or consist of a juvenile transferring to a juvenile home, home confinement, placement into a foster home, and more. The legal and collateral ramifications that accompany a juvenile criminal record are detrimental to the lives of young people. For this reason, juvenile offenders have the right to retain legal counsel just as adults do. Since the options for resolution are broad, the perspective and expertise of an attorney can be very influential. 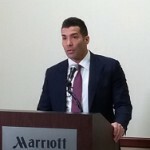 Joseph D. Lento has over 15 years of experience advocating for juvenile acquired vandalism violations, and he's helped them avoid the inconvenient and oftentimes expensive reality of being caught up in the juvenile justice system. Whether you are a juvenile, or you are a parent who is concerned about your child who has been charged, it's important you contact criminal defense attorney Joseph D. Lento today at 215-535-5353 for a consultation.